Like with my zucchini spaghetti and meatballs, I’m embarrassed to admit that I haven’t Inspiralized mac and cheese yet. Doh! 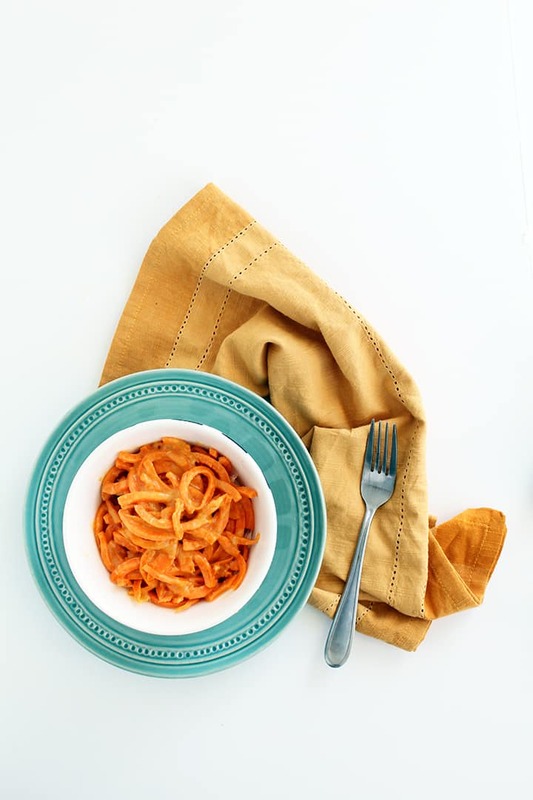 After multiple e-mails suggesting I recreate this classic kid-friendly pasta, I’ve finally done it – two ways! And man, this gluten-free version is well worth the wait – not only is it creamy and cheesey, it doesn‘t make you feel bloated and heavy afterwards. You can throw some bacon and broccoli and make a real meal out of this. 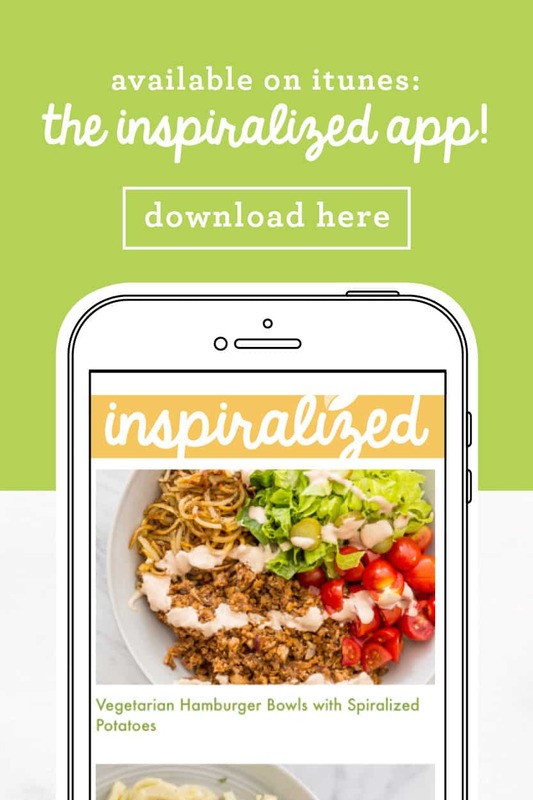 While you’re eating this Inspiralized recipe for mac and cheese, you’re eating vegetables, instead of processed wheat pasta. That’s a win! While it may be higher in fat than many of my dishes (due to the cheese), it’s still a healthy compromise. 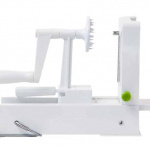 Then, spiralize the potato using Blade B, since it makes a thicker macaroni-like noodle. 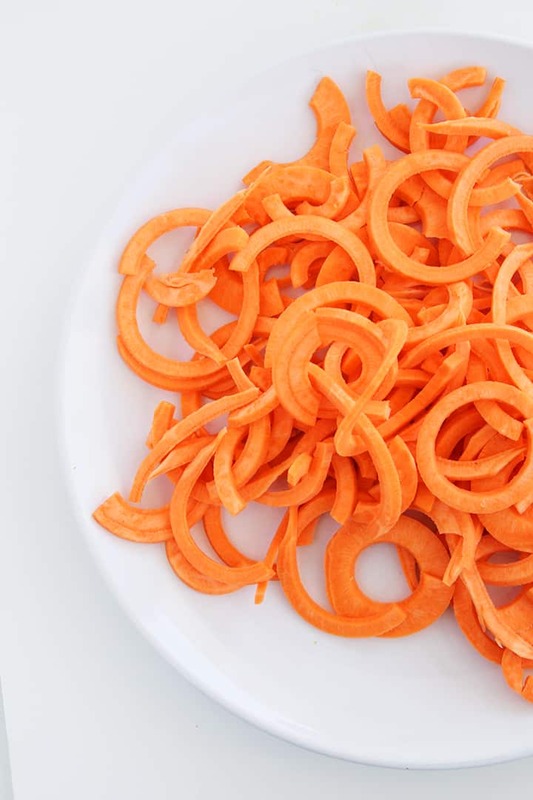 After you’ve spiralized the sweet potato, further cut the slices using a scissor to make sure they are smaller half-moons. It takes an extra minute, but truly adds to the authenticity of the mac and cheese. 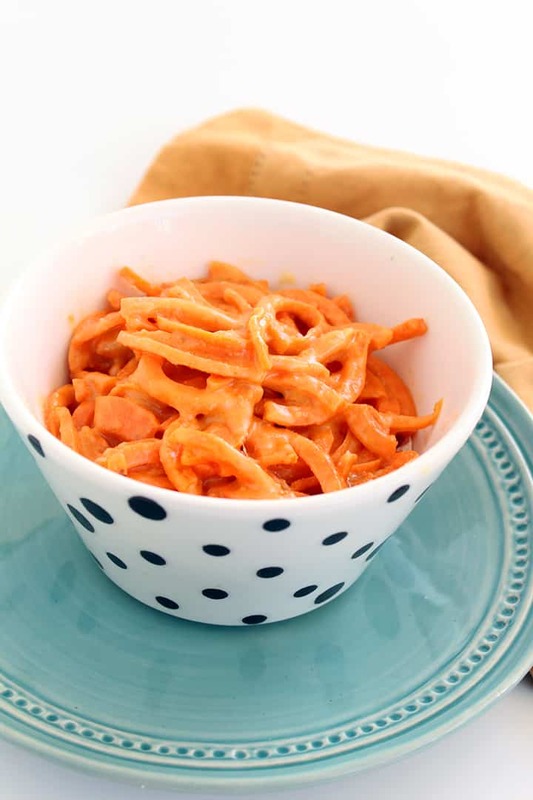 You’ll cook the sweet potato slices, add them to the cheese, and voila! 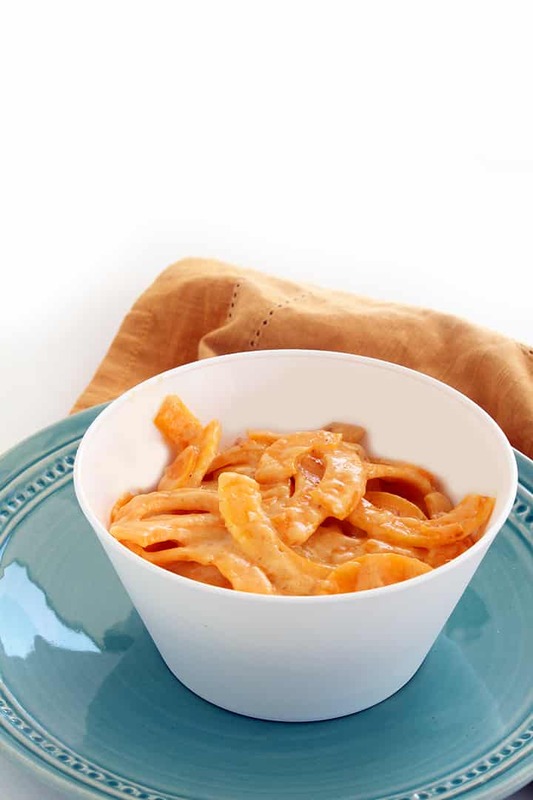 The sweet potato mac and cheese is my favorite, because the sweetness of the sweet potato complements the gooey cheesiness of the sauce. 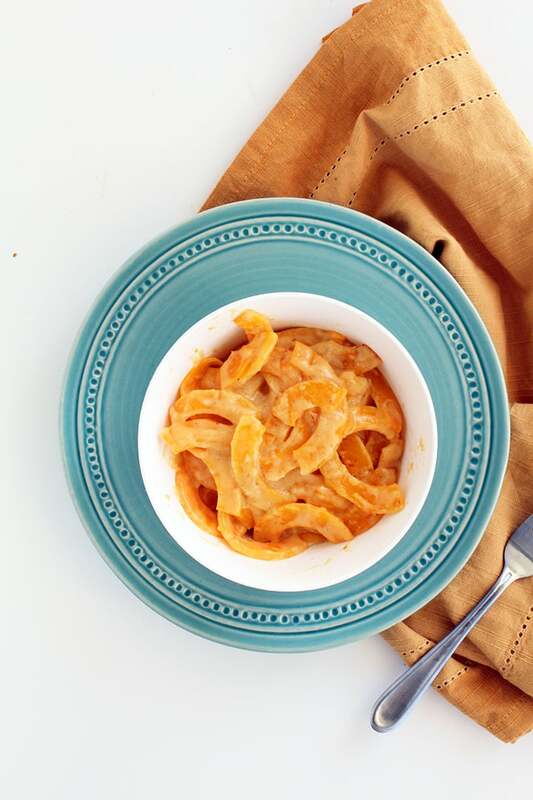 While sweet potato mac and cheese is my favorite, butternut squash provides a lower carb and calorie option for those of you who really want something guilt-free. The trick? Make sure you roast the butternut squash for long enough, so that it becomes soft and not crunchy. You can also stir fry it in a pan, but I find the oven easier. 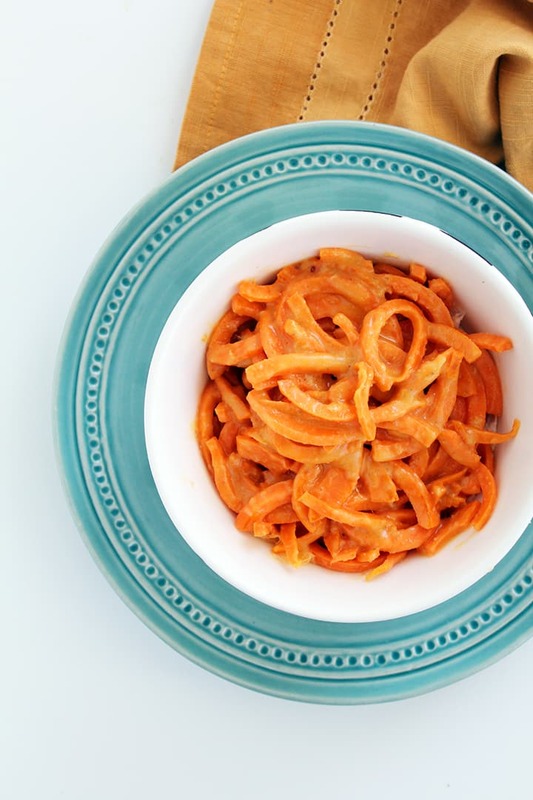 Like with the sweet potato, you need to use Blade B and chop the macaroni-like noodles additionally. Once you’ve got your noodles, you add them to the cheesey sauce, stir and there you have it: probably the healthiest mac and cheese you could ask for! 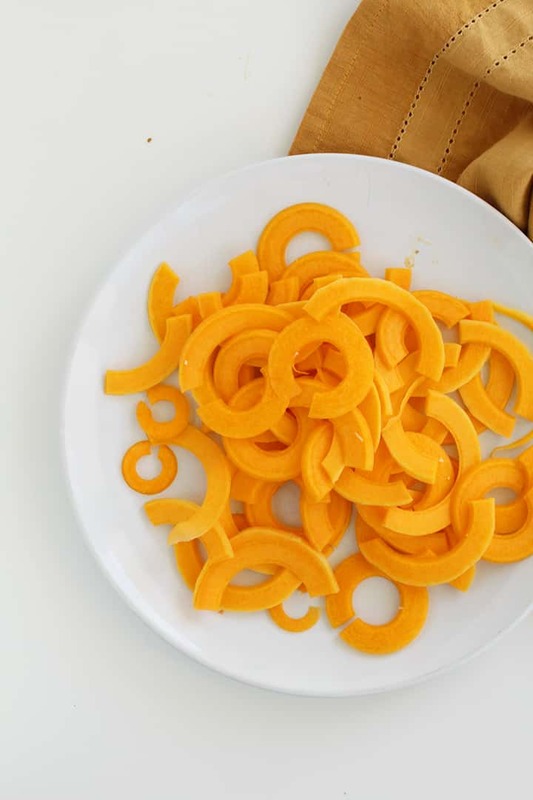 Take your spiralized butternut squash noodles and cut with a scissor, if they are not in half-moon shape. Lay the noodles on a baking tray coated in cooking spray. Bake in the oven for 5-7 minutes or until easily pierced with a fork. Set aside. In a large saucepan, add in the vegan butter and let melt. Once melted, add in the coconut flour and whisk together until flour absorbs butter and becomes thick. Then, add in the almond milk and whisk together constantly until mixture thickens. Once the mixture thickens, add in the baked butternut squash noodles and stir to combine. Once combined, add in the cheese and stir again to combine. If it is too thick, add in more almond milk. 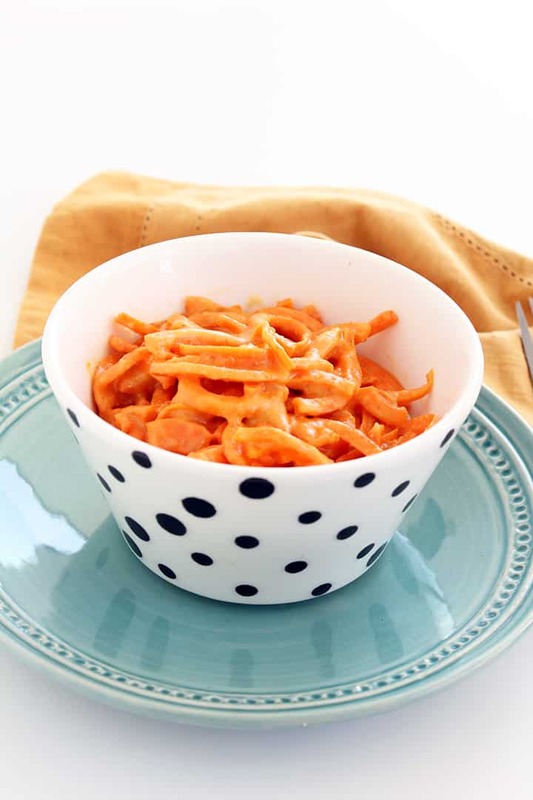 Once the cheeses have melted into the noodles and consistency is to your preference, divide into bowls and enjoy! 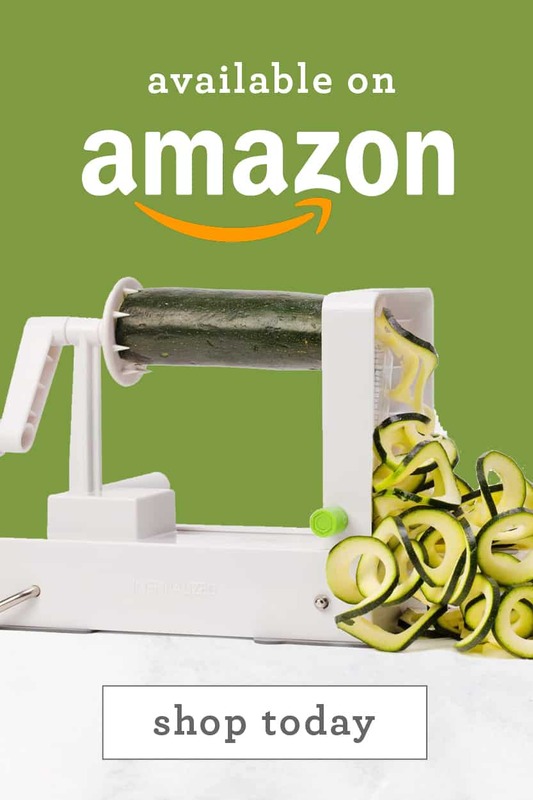 I know what you’re wondering: why haven’t I done this with zucchini? Well, zucchini is tough because of its high water-content. If you are okay with a bowl of watery cheesy messiness, then you can use zucchini noodles. But, it’s much easier and cleaner (and tastier!) with sweet potato or butternut squash. Plus, I dig the orange color! How colorful. So, what do you think? Are you going to make some mac and cheese for your kids? They won’t believe it’s not real macaroni! This looks great! I can't wait to try it. I love mac and cheese but it's hard to do on a low gluten diet! Sounds Amazing !!! Another option besides cauliflower !!! Mmhhmm...can't wait to try it !! Maybe even with some bacon. Mm yes I love that! This looks awesome! Just curious- why do you use vegan butter and almond milk, but real cheese? Is there a taste difference? 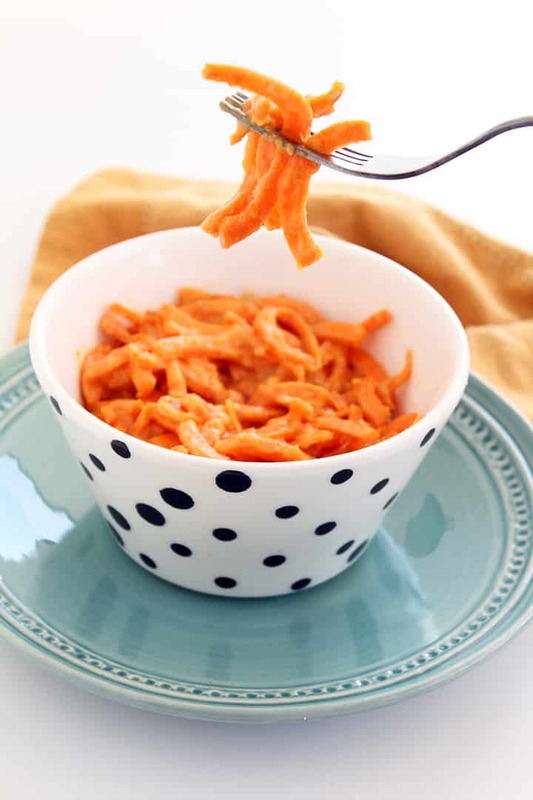 Sweet potato mac & cheese?! 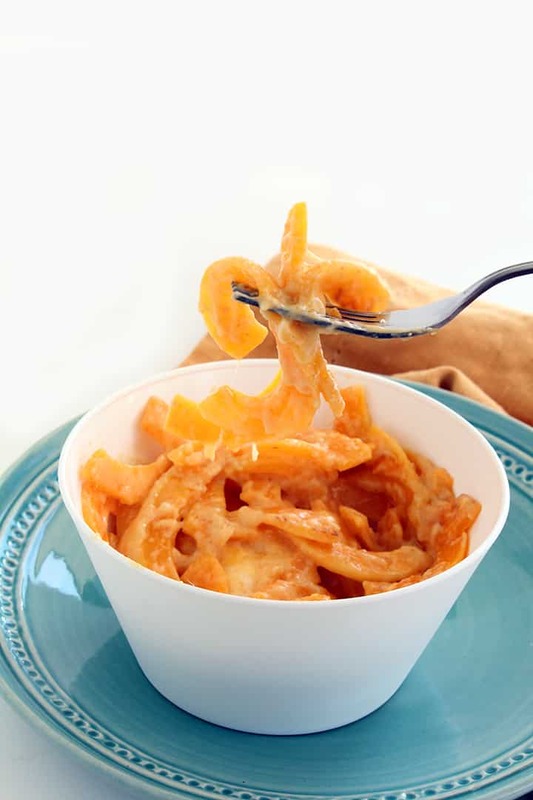 Butternut squash mac & cheese?! Wow, this is so awesome....my mind is kinda blown! Cannot wait to try this!!!! Yum!!! That was delicious, thank you!! i could totally cry. so excited to try this! Hi Ali! I was one of the emailers asking you for a mac & cheese recipe. Thank you! Thanks for your suggestion, noonie! This looks divine! I don't have coconut flour at home, though…. Is there a healthy substitute that you can recommend? Or is there a way to skip it altogether without compromising the thickness of the sauce too much? Kaavya - you can use whole wheat flour or any gluten-free flour that you have! It's tough to skip that step, as it does create that beloved creaminess. Hi Ali, I was so excited when I saw your sneaky preview on instagram on Friday and I waited (somewhat paitently) all weekend for the recipe on Monday. As soon as I arrived home from work I began cooking. My roommates watched suspuciously, thinking this was a crazy idea. The end result was mouth watering deliciousness!!! I had to share what I had made with my two roommates then set about making another double serving so that we could all enjoy the left overs for lunch the next day. 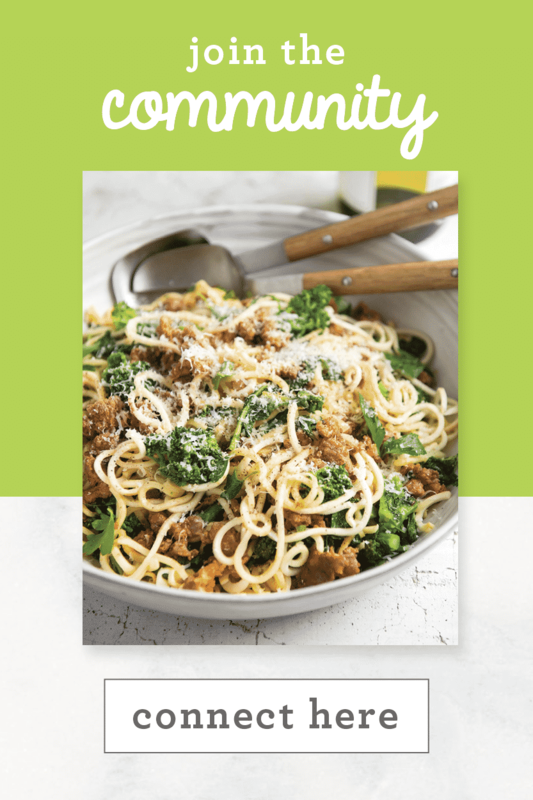 Thank you so much for sharing this wonderful recipe, tonight the girls and I are going to try and recreate your risotto! Mia - this makes me so so happy! 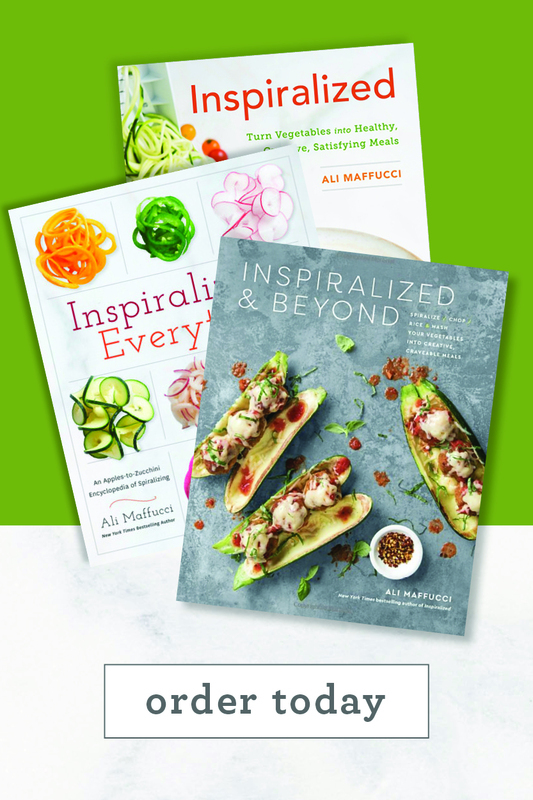 Thank you for sharing this with me - keep the stories coming and thanks for cooking your friends healthy meals! 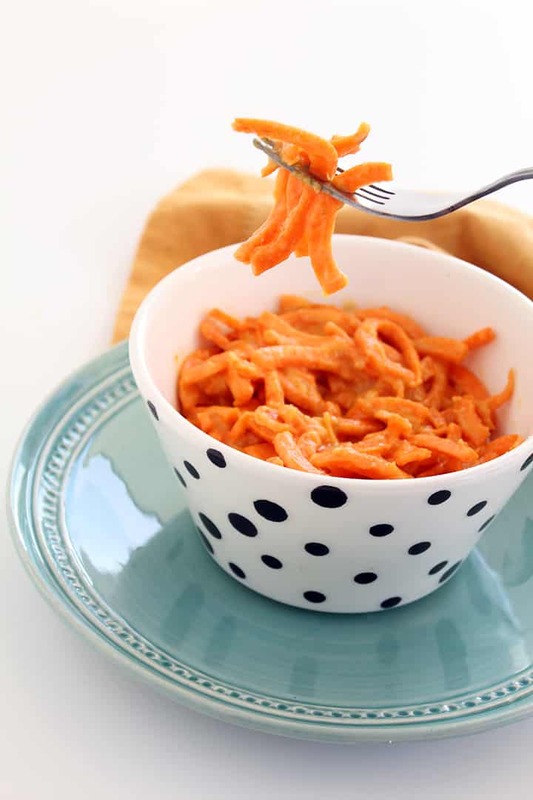 I added in a cup of chili to my Sweet Potato Mac n' Cheese and this was beyond brilliant for a veggie Mac & Cheese recipe I'll be using for ages to come. 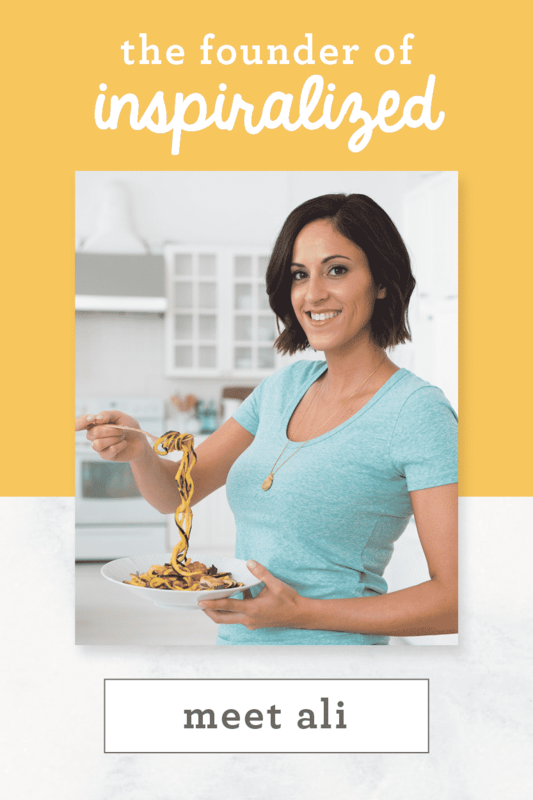 Amanda, I LOVE chili in this mac and cheese - great idea! I made this last night and it was CRAZY good!! The boyfriend loved it. Thx!! So happy he liked it, Lauren! Such a great idea!!! I plan to make this today, will skim milk, lactaid, or coconut milk work just as well?? Thank you! Just made this tonight. Was a huge hit with everybody. 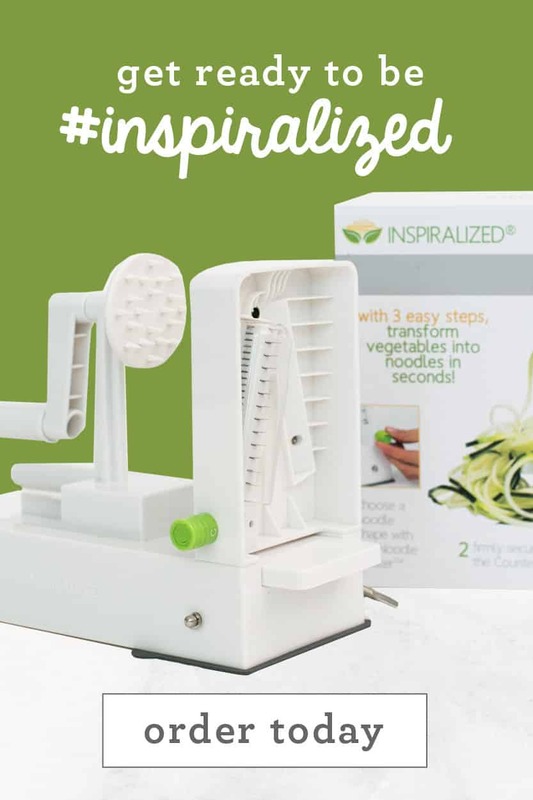 Now, I have to order me a new spiralizer gadget, my daughter is keeping mine. Lol! I don't mind. We are eating healthy to stop Diabetes in our family. Blood sugar was 92. This a keeper. 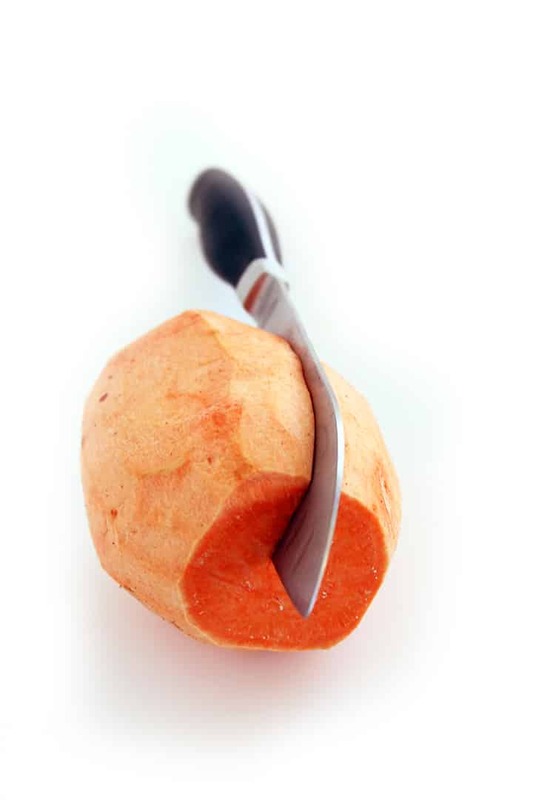 Is that a sweet potato or a yam? The colour in your photo makes it look more like a yam??? They're labeled differently depending on your location. Generally, a yam - but my store calls it a sweet potato! In the sweet potato it says to cook in the frying pan tossing frequently. . . at what temperature? I loved this! I've made it 3 times now and I find that it is a great substitute for the real thing. My toddler wasn't convinced... but hey can't win them all. I also added some broccoli to mine as well. Thanks! Any reason you couldn't use real butter or milk for this? I don't use any of those products on the blog! 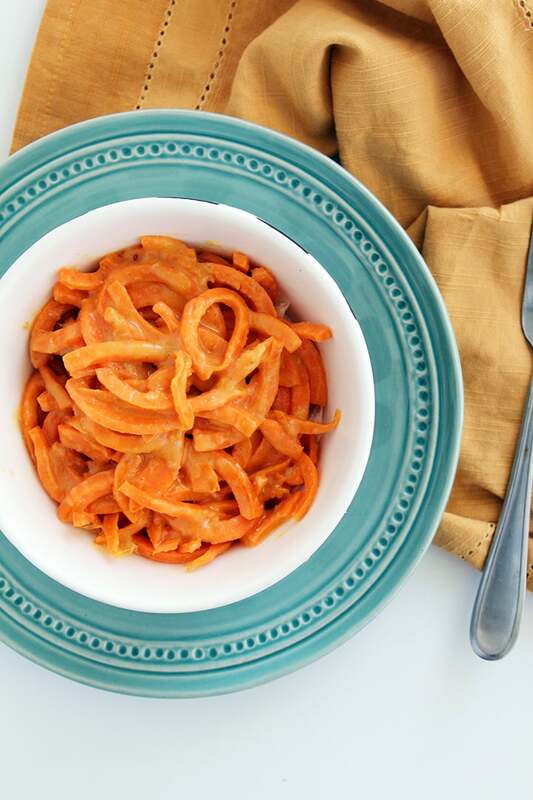 My spiralized yam didn't come out nearly so pretty--despite using the thick cut blade it turned into kind of a mush. Even so, though, very tasty! Made this tonight with sweet potatoes. It was awesome!!! Even my 7-year-old liked it. Would greek yogurt work instead of flour and milk? Must admit, have never been a sweet-potatoe fan; Never eat them. Followed the recipe except for the cocunut flour as I couldn't find it. Substituted whole-wheat flour. Was ok; not a dish I would crave or serve to guests. Lacks....something; but it is filling! This is delicious! I don't have a spiraliser so I just cut into thin slices; a much tastier alternative to pasta! thanks! I was a little hesitant making the sweet potato mac and cheese - wasn't sure how the flavours would go together. Turns out it's perfect!! A few pieces of the sweet potato got a bit caramelized when I sauteed them but that just gave it more flavour. Next time (and there WILL be a next time!!) I'll brown up more bits. I just tried this recipe using carrots rather than sweet potatoes just because that's what I had on hand... Holy guacamole! This is delicious! I'm definitely going to make this again. 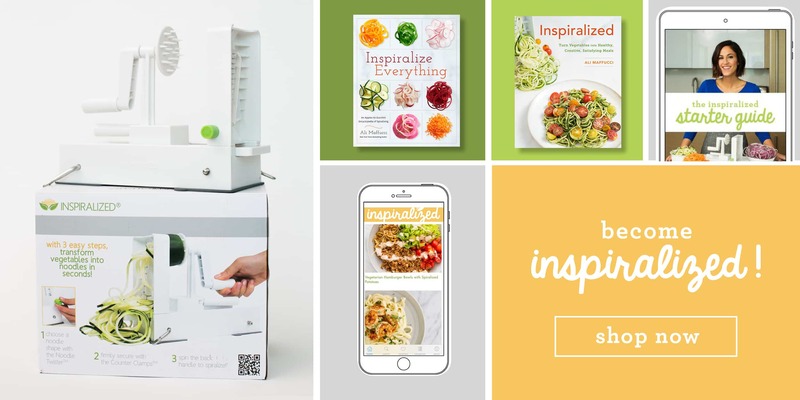 I can't wait to try it with sweet potatoes, too! I'm not a huge fan of squash, but maybe I'll get adventurous. The cheese sauce was enough to cover up any hint of squash flavor, I assume. Thanks so much! Any reason you use vegan butter and almond milk but then use real cheese? I love the different combination of flavors and it reduces the amount of unhealthy fats! Just curious, why use vegan butter if you also use real cheese? Why not real butter as well? I made this, but I didn't care for the sauce that much. I'm not vegan, I just like to find healthy substitutions where I can. 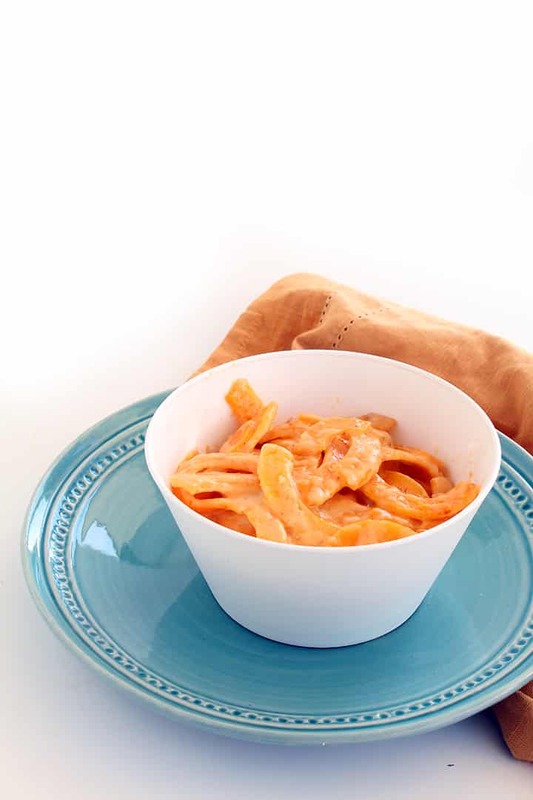 I followed the modernist cuisine's recipe for mac and cheese but cooked the sweet potato noodles as written in the recipe. It turned out really good. Way different than normal mac but then also much healthier. I conceive this internet site holds very great written content posts. It's a pity you don't have a donate button! 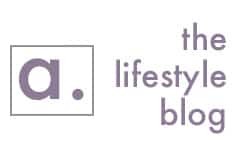 I'd certainly donate to this brilliant blog! I guess for now i'll settle for book-marking and adding your RSS feed to my Google account. I look forward to fresh updates and will talk about this site with my Facebook group. Talk soon!